On February 16, 1999 Brent Johnson played his first NHL game vs the Vancouver Canucks. 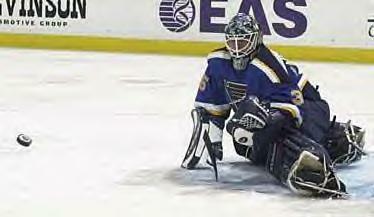 Two seasons later, during his rookie season in 00-01, Brent tied the St. Louis Blues team record for consecutive wins by a goaltender with 7. This past season Brent tied the NHL's record for consecutive playoff shut-outs as he blanked the Chicago Blackhawks 3 games in a row during the first round.